The fourth-graders at Riverside Elementary School helped paint these floor-to-ceiling murals that explore the theme, but also feature local landmarks and community traditions like the Endicott pear tree, which only grows locally and is the oldest fruit tree in North America. 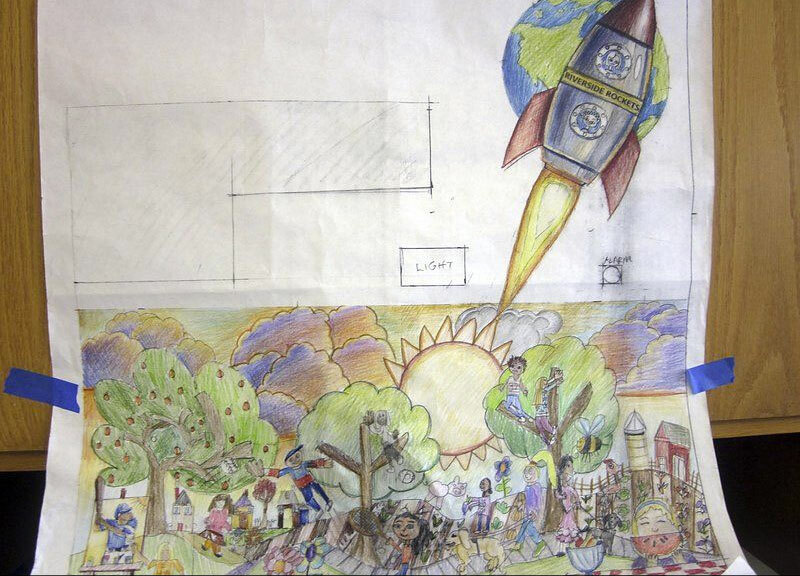 The mural, created by Fichter, used the student’s hand-drawings of their interpretations of healthy living in their city. The drawings were transferred, using a projector, to Dibond aluminum composite material to form a collage, which was then painted by the students themselves. 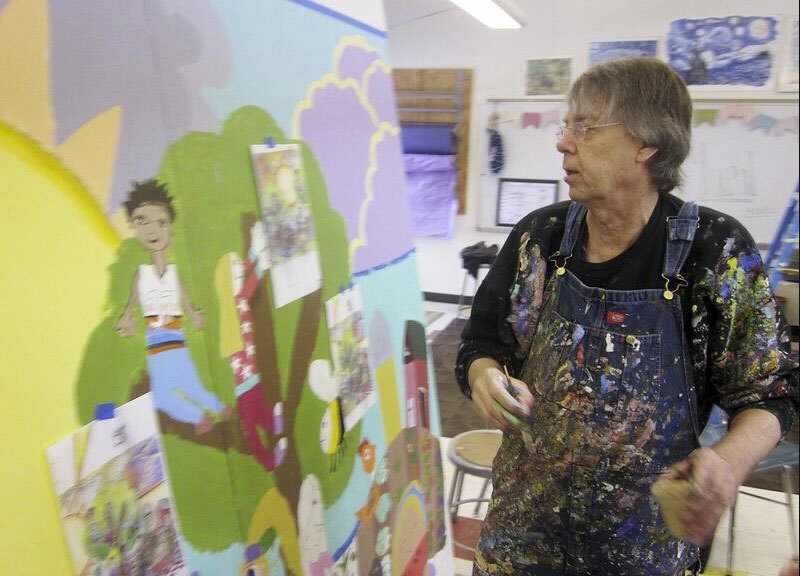 In addition to his decades of artistic experience, Fichter has worked with several local schools in the construction of similar projects. In the article in Salem News he states, “It’s a very complex process. 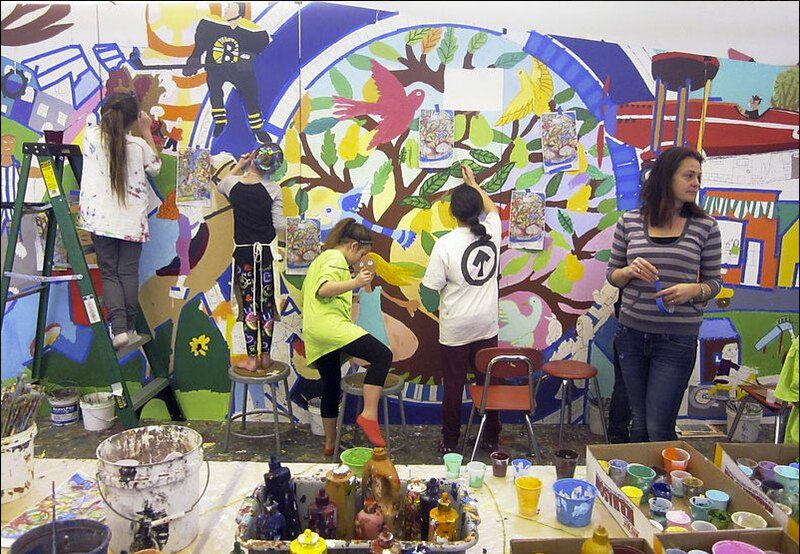 They are starting with a concept of ideas and they wind up with a finished mural.” The project allows students to see their work in a permanent display, not only promoting the community themes within the town of Danvers, but their school community as well, working together to produce the mural. Upon installation, the large Dibond paintings will be featured at the entrance of the school showcasing the creativity and artist talent of the youth of Danvers.